Grange trained by E P Harty dead after fall at Thurles last Thursday. Dam a half sister to Captain Cee Bee so sorely missed by all associates. X rays of The Minack show no fractures . With time will be ok . So pleased about The Minack. Hoping that my current favourite horse, Little Glenshee is ok after falling at Wetherby; I didn't hear the race so am assuming everythings fine. Equitania seemed to suffer a heart attack coming out of the stalls. Looked truly horrific, but suspect she was effectively senseless, and died within seconds. It's categorically not true - although easy to see why people would think that might be the case. Last edited by Aldaniti; 22nd January 2014 at 9:24 PM. 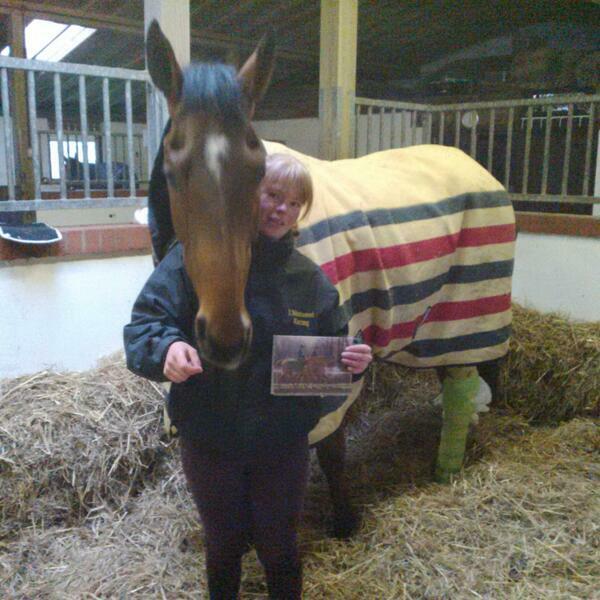 Good to hear that Monkety is on the mend and that The Minack's injury isn't as bad as first feared. Do we have confirmation about Galileo Rock? Sad. Great pic of Monkety, I hope he heals very fast bless him. The pic is from Jess's Facebook and Twitter feeds and I think we should acknowledge that to stay legal. Just ask UG.